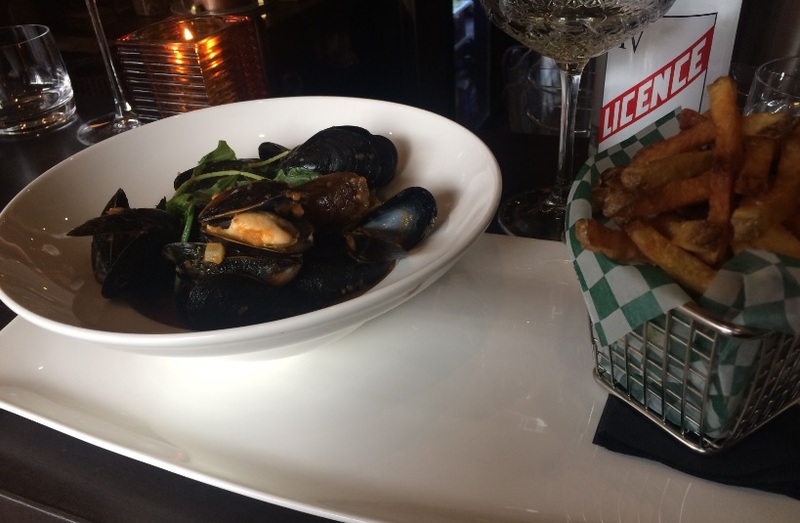 License IV (Addr: 1524 Notre-Dame St W, Montreal, Phone 514-938-8084, http://licence4.ca) offers classic French cuisine. The restaurant has just opened a few days ago, and it is a foodie friend who notified me about its opening as no serious restaurant-related online source has mentioned it. Given the ever growing French community in Quebec, I am surprised there are not that many restaurants cooking classic French fares. Perhaps the newer generations of the French are not into raclettes and crepes suzettes? Montreal will find that out, soon, as License IV brings such beautiful memories back. 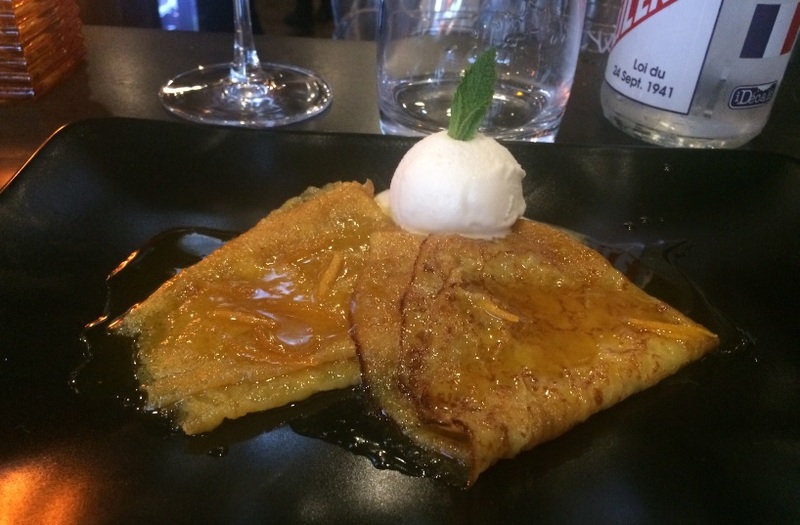 It’s actually because I kept complaining that there are not many places making crepes suzette in the beautiful old fashion way, and not many places doing great tartiflettes in Montreal, that my foodie friend has suggested that I try License IV. “You won’t believe me…there is that new place cooking French food and that has crepe suzette and tartiflette on its menu“… he submitted. License IV does not joke about its French identity: It has a brasserie feel (cute french brasserie looks, btw, with dark wood and green tones), songs like ´enfants de tout pays‘ and ´mon manege a moi” , do proudly play through their quality speakers. The wait staff is from France. A true feeling of being agreeably transported to l’hexagone, which is to my liking. Bouillabaise , homard, saumon, morue, crevettes, moules, fond tomate, pomme de terre vapeur, pastis, croutons, rouille $28 – If you had your share of bouillabaise in the right places in France, you surely have your preferred ones. Many recipes have their own twists. 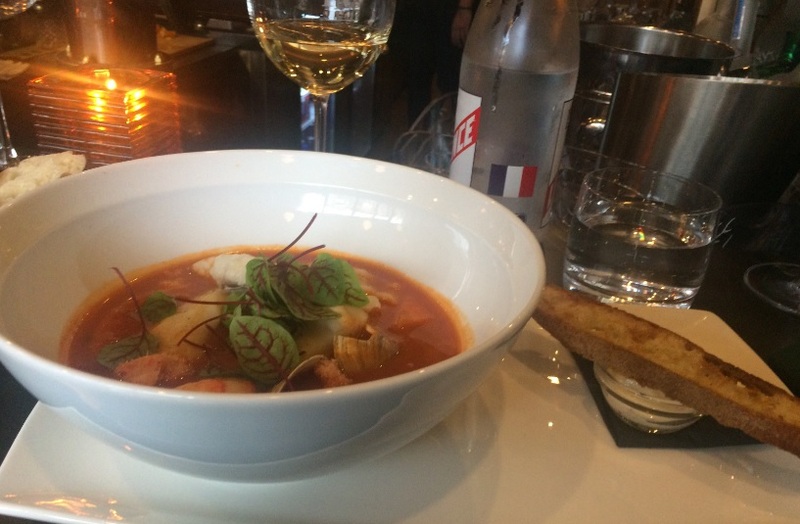 No matter the twist, my preferred bouillabaise had their bold maritime flavor at the forefront. This did not, though make no mistake, the seafood was of good quality and had flavor (their flavors did not take a break as it was the case of the recent oysters I had at Docks Oyster House). I also would have preferred a bit more of the saffron. The piece of additional lemon confit was not a bad idea. All in all, a bouillabaise that was not bad, but it was a bit less eventful, for my taste, when compared to the best bouillabaises I had. 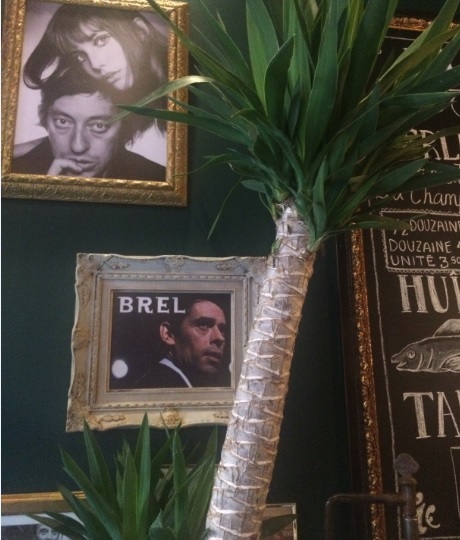 All in all: 7/10 (Category: French bistrot in Montreal) – Condiments are well done, here. 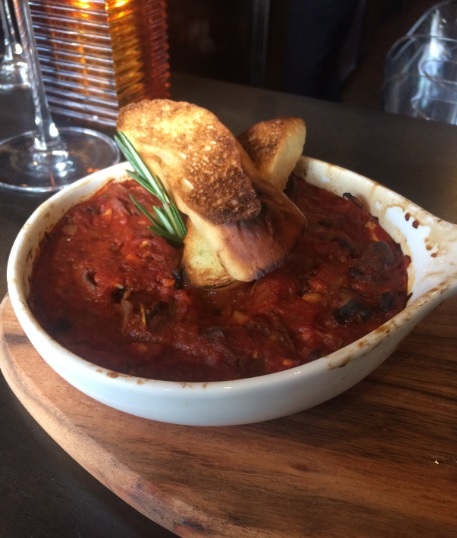 Classic French flavors are properly expressed, ingredients are as great as they can be at a restaurant in Montreal. Lifting up the maritime flavor of that bouillabaise would be, realistically, what they could have improved during this meal. Everything else was fine. I doubt the bread is baked in house (I did not ask them), mais putain qu’il était bon, ce pain baguette! Service is perfect. This is a good addition to the Montreal restaurant scene. I will go back and see if they have the tartiflette (it was not available the day of my visit). I hope they beat the best tartiflette I ever had in Quebec (One that Chef Anne Desjardins had, once, cooked when her restaurant, L’eau à la bouche was still open in Sainte-Adèle).